HIV Passions is one of the best free HIV dating and social networking sites for HIV positive singles. The most impressive feature of this site is that it’s completely free. 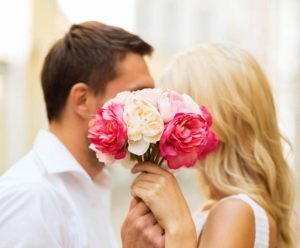 Whether you are looking for love, romance, friendship or just emotional support, it’s easy for you to find all of those and even more at this dating site. Merely because you are infected with HIV or any other STD does not mean that it is an end to romance, love or dating in your life. On the contrary, you can still find and love and make new friends. Totally free for people to create a profile on HIV Passions! Contact with other members by sending emails for free. Chat with other online members for free in the chat room. Add members you are interested in to friend list and check the list out. Search the newest and online members. View videos uploaded by other members. Recommend books about HIV and AIDS from the online store for sale. Registration of this site is pretty easy. All you need to is to submit your name and email address and then create an account by clicking on the verification sent to your email.But HIV Passions does not check or block the person’s profile from search engines and your information might be shared with all the other dating sites that are present on the Passions network，so be careful to check other members’ information with your own judgment. And more, HIV passion allows advertisements which made this site a little annoying.